Today, for the first part of the Iwata Asks on Mario Kart 7, we’ve gathered the members of Retro Studios1 from Austin, Texas in America and staff members from the Entertainment Analysis & Development Division (EAD). Right now it’s morning here in Kyoto, but in America it’s night. I’d like to thank all of you from Retro for being here with us at such late hours. I’m looking forward to talking with you today. 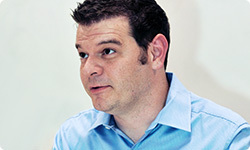 1Retro Studios, Inc.: A game development company in Austin, Texas, America. It was established in 1998 and has been involved in the development of games such as the Metroid Prime series and Donkey Kong Country Returns. We’ve actually been developing Mario Kart 7 in cooperation with Retro Studios. It’s the first international development in the Mario Kart series2, and today I’d like to discuss how it came about. First, then, let’s have everyone introduce themselves. 2Mario Kart series: A racing game set in the Super Mario world. The first game, Super Mario Kart, was released in August 1992 in Japan for the Super Nintendo Entertainment System. 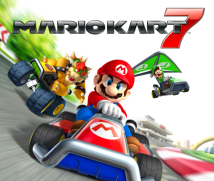 Mario Kart 7 is the seventh game in the series. I’m Konno from the Software Development Department of EAD. I was the producer for Mario Kart 7. I’m Morimoto from the Software Development Department of EAD, and I’m the art director. For this game, I coordinated all the graphics, and where actual operations were concerned, I worked with the people of Retro and the EAD staff on course design. 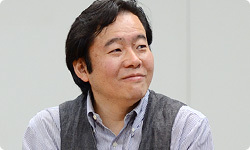 I’m Ishikawa from the Software Development Department of EAD; I was the lead artist for the characters and karts. I coordinated the character and kart designs, and with the rest of the EAD staff worked with Retro on the model production and animation production. I’m Ichijo from the Software Development Department of EAD. I was the main coordinator between EAD and Retro, and was in charge of translating all the communications. I also supervised the planning. All right. Now let’s hear from Retro. My name’s Ryan Powell. I was the lead artist at Retro Studios, and I worked on environments, on the courses for this game. I was in communication with Morimoto-san for a good deal of the project. My name is Vince Joly. I’m the art director at Retro Studios, and I oversaw all the artwork on the courses and the characters and the karts on the Retro side. I’m Tom Ivey. 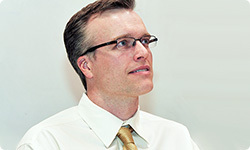 As the lead planner for course design, I was in charge of creating the courses with the staff of EAD. Okay, let’s start with Konno-san. Retro is practically on the opposite side of the globe from Japan. Could you tell us how our two companies came to make Mario Kart 7 together? Oh, sure. I wasn’t expecting that. (laughs) Understood. 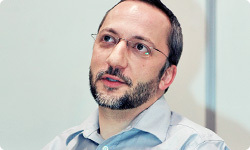 Let’s see; the plan for Mario Kart 7 originally got its start at the beginning of 2010, at the same time as nintendogs + cats.3 The release of nintendogs + cats was scheduled first, so in the beginning we put more effort into creating that game, and had a tiny group of eight people working on Mario Kart 7. That said, when we got to the stage where we’d really be getting down to business on Mario Kart 7, lots of titles were underway in the department, and we had a problem: we didn’t have enough members to develop the game. 3nintendogs + cats: A simulation game released for the Nintendo 3DS system in February 2011 in Japan. To be completely honest, we decided to extend the production for The Legend of Zelda: Skyward Sword4 so people you were expecting to have some time weren’t available, right? 4The Legend of Zelda: Skyward Sword: An action-adventure game released for the Wii console in November 2011. No. To be perfectly honest, that was one of the reasons. (laughs) I discussed it with (Shinya) Takahashi-san5 from the Software Planning & Development Department (SPD) and my contemporary, (Kensuke) Tanabe-san6, asking them, “Can we make it with one of the companies Tanabe-san’s in contact with?” Retro had been working on the development of Donkey Kong Country Returns7, and the timing when they were going to be wrapped with that title matched the timing we would start needing help. The timing was right, and we ended up making it happen. 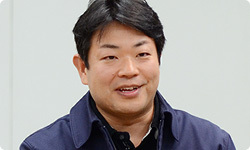 5Shinya Takahashi: General Manager, Software Planning & Development Department, Nintendo. 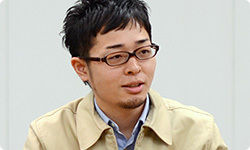 Previously appeared in “Iwata Asks: Wii Play: Motion.” 6Kensuke Tanabe: Software Planning & Development Department, Nintendo. 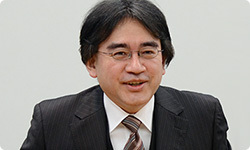 Has supervised the Metroid Prime series (GameCube/Wii), Donkey Kong Country Returns (Wii) and other games. Previously appeared in “Iwata Asks: Donkey Kong Country Returns.” 7Donkey Kong Country Returns: An action game released for the Wii console in December 2010. Back in the day of the Nintendo GameCube system, you spent about two and a half years working within EAD with people from outside the company, didn’t you? If we were going to make a Mario Kart game, we wanted to ask a team with some real strength. All of us, me included, discussed the problem, and after we’d taken the various requirements into account, we decided to ask Retro. Yeah. (laughs) It was definitely interesting because we were finishing up Donkey Kong Country Returns, and we thought, “Oh, time to relax,” you know. But I’d grown up playing Mario Kart, and it has a special place for me. It was an exciting opportunity. There was a little nervousness because we didn’t know this team; we’d worked with SPD before, but we’d never worked with EAD. So I was a little nervous going in, and when we met everybody, it was a little formal. But then we went out to dinner, and I remember (Kosuke) Yabuki-san8 gave a very inspired toast, and we thought, “It’ll be nice working with these guys. They seem to be really nice.” So I think, after we met everybody, we were ready to go and looking forward to it. 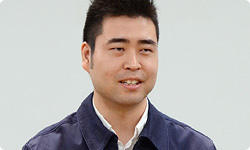 8Kosuke Yabuki: Software Development Department, Entertainment Analysis & Development Division, Nintendo. Directed Mario Kart 7. All the principal members went out for yakiniku (Japanese-style barbecue.) that day. Yabuki-san and Tom-san were at the same table, and just when it was time to dig into the yakiniku, they got into a discussion about how some of the courses needed to be different. I felt like, “Hey, you two! Dinner first, talk later!” (laughs) That said, I was very impressed with how dedicated Tom-san was to what he did. Vince-san, Ryan-san. What about you? I immediately thought it was a huge honour to have this opportunity because I’m such a huge Mario Kart fan. I’ve played Mario Kart since the beginning, so I immediately thought that this was a huge opportunity for us and such a rare occasion. I just couldn’t wait to get started on it. When I met everyone in Japan and felt their great enthusiasm, it really boosted my own motivation. We've never collaborated with Nintendo this way before, so I felt it was a tremendous opportunity. Thank you very much. Alright. Now let me ask the Japanese staff. Morimoto-san, what did you think when you heard we’d be making this game with Retro? When I first heard about it, I thought you were kidding. I couldn’t believe it. (laughs) Up until then, I’d worked with people in Japan who were not part of the company, but I’d never worked with a company that was overseas. This was your fourth Mario Kart game, wasn’t it? Getting this fourth Mario Kart must have been very bewildering, since we asked you to create it in a way that was completely different from the previous games. 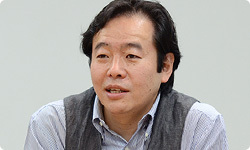 What did you think, Ishikawa-san? Honestly... And I’m really sorry about this, but I was so confused, I asked, “Retro...? Are they in Japan?” (laughs) We’ve always made the series in-house, at EAD, so at first I was concerned about whether we’d really be able to do it. That’s right. We were all very nervous, and we thought it would be better to have someone experienced on our side, so we had Ichijo-san rushed over from Tanabe-san’s team. Ichijo-san, what did you think when you first heard about this? I couldn’t wait! I love Mario Kart, so first off, I was glad I’d get to be involved, and I was excited about that. Then, too, I’d already worked with Retro on Donkey Kong Country Returns, so I wasn’t nervous at all. So, we had Konno-san, who knew we didn’t have enough people and thought we should borrow help from overseas and do our best that way. We had Morimoto-san and Ishikawa-san, who were worried about their first project with people from overseas. Then Ichijo-san, who was psyched up about the project, joined us. A little over a year ago, these people came together into a team and got down to work.